As far as the century-old legend is concerned, the celebration of the festival is dedicated to a terrible mythical monster named Nian (“Year”), who preyed on the villagers and used to terrorize them. To solve the ‘Nian problem’, according to the oft-heard legend, an old wise man advised his fellow villagers to make loud noises with drums and firecrackers so that the noise could petrify the monster thus warding him away. Moreover he further advised the villagers to hang red paper cut-outs and scroll them on their doors,as Nian was scared of the color red. The villagers did as was being instructed, thus Nian was fully conquered. 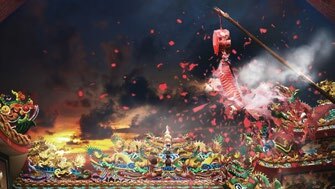 From then onwards, the anniversary of the date is recognized as the ‘passing of the Nian’, which also became the New Year celebration for Chinese. 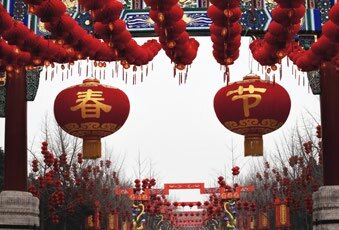 Chinese New Year is celebrated by more than 20% of the world population. It’s the most important holiday in China and to Chinese people all around the world. 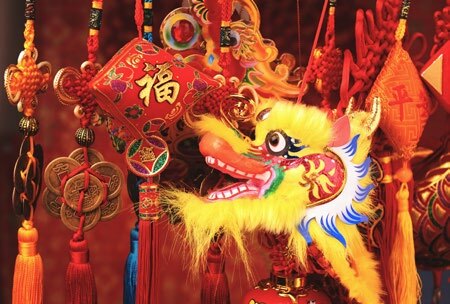 Here are 15 interesting facts that you probably didn’t know about Chinese New Year. Also Known As The Spring Festival In China, you’ll hear it being called Chun-jie (春节), or the Spring Festival. Although still wintry, but the holiday marks the end of the coldest days and the begin of Spring season. People celebrate the New Year and what it brings along: planting and harvests, prosperity and fresh starts. 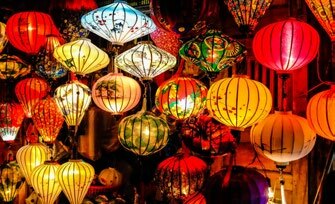 It is also called the Lunar New Year, because countries such as North and South Korea, Japan and Vietnam celebrate it as well. According to the Lunar calendar, the Spring Festival is on January 1st and lasts until the 15th (the full moon). Unlike western holidays such as Thanksgiving or Christmas, when you try to calculate it with the solar (Gregorian) calendar, the dates can be very different year by year. Chinese New Year ranges from January 21 to February 20. In 2019, it occurs on February 5th. Modern Chinese calendars use the Gregorian calendar but include lunar holidays. The lunar calendar is still really important in China, even though it has officially moved to the Gregorian calendar like the rest of the world. All traditional holidays and days such as the Mid-Autumn Festival are celebrated. Some people in Asia still celebrate their lunar birthdays. As in the myth about Nian, firecrackers are supposed to scare off monsters and bad luck. So people stay up on Chinese New Year’s Eve and set off firecrackers at midnight. Both firecrackers and fireworks sound throughout the night. Due to safety reasons and concerns for air pollution, many Chinese cities have banned fireworks. More than 500 cities have restrictions too. However, many people don’t care and they prefer to do it anyway. Beijing had banned fireworks for 13 years. The ban was lifted in 2006 because of the angry public. That same night, some Chinese families burn fake paper money and printed gold bars in honor of their deceased loved ones, for they believe the offerings will bring fortune and good luck to their ancestors in the afterlife. The first full moon of the (lunar) year is the Yuanxiao Festival (元宵节) or Lantern Festival. In ancient times, girls weren’t allowed to venture outside by themselves. But on this night, they were able to walk around, moon-gaze and look at the beautiful lanterns. The Spring Festival is technically 15 days. But celebrations start on New Year’s Eve (making it 16 days). 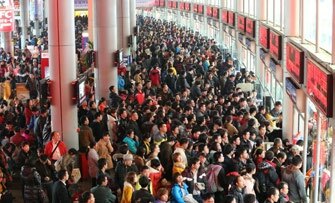 During the holidays, Chinese people spend almost twice as much on shopping and eating out than Americans spend on Thanksgiving. Traditionally, you have to spend time with your family and can only go out after the 5th day. Since it’s a national holiday, the large majority of stores are closed too. In the month before, people will buy nian huo (年货), or New Year’s storage. The Chinese stock up on cooking supplies, snacks, gifts, new clothes and more. The most important part of Chinese New Year is the family reunion. People are encouraged to come back home for the New Year’s Eve dinner. But since in modern China, around half of elderly parents live in rural villages while their children work in the cities. The migration back home is called chunyun ( 春运), or Spring Migration. Do you know some nosy relatives during Thanksgiving? It’s even worse in China. Especially on topics like ‘having children and passing down the family name’. As the pressure goes intense, some desperate singles resort to hire a fake boyfriend or girlfriend to take home. Those who can’t (or don’t want to) go home can rent themselves out. In other cultures, children receive gifts for holidays. Gifts are also exchanged during the Spring Festival. But Chinese children receive ‘red pockets’. 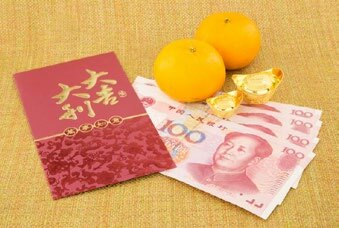 Depending on the family, the children can get up 1000 CNY (around $150) per envelope. This money is supposed to help transfer fortune from the elders to the kids. They can also be given between bosses and employees, co-workers, and friends. With the development of technology, digital red pockets are the trend now. People like to send one into group chats and watch the others fight for the money. This is called qiang hongbao (抢红包), or literally “snatching red pockets” from varies social media platforms. 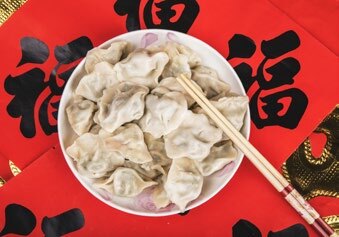 Most Northern Chinese people will eat dumplings during the New Year’s Eve dinner. Others will eat them for the first breakfast. Contrary to popular belief though, dumplings aren’t popular everywhere in China. It’s more of a northern thing. In the South, people would rather eat spring rolls (egg rolls) and balls of glutinous rice in soup called tangyuan (汤圆). 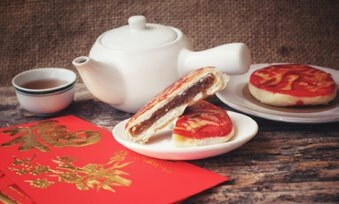 Many Chinese New Year desserts have special meanings behind them. And it’s mostly puns in the name. Take the tangyuan for example. It literally means “soup balls.” But it sounds like tuanyuan (团圆), which means reunion. So it’s no surprise it’s a popular dessert during Chinese New Year. Nian gao (年糕) is a type of rice cake. It symbolizes success each and every year. Fa gao (发糕) is a the hybrid of sponge cakes and muffins. People dye it festive colors. The fa is the same as “to get rich.” And every Chinese wants that! Almost Every family will deck their homes in this color. Do you remember the story about the monster ‘Nian’? Firecrackers aren’t the only thing that scared the monster away. The Chinese will hang up red lanterns and strings of (real or fake) chili peppers, paste red paper onto doors and windows, and more! New clothes are also believed to bring good luck and start over fresh. People will add new red clothing to their Spring Festival wardrobe too. Western horoscopes include 12 zodiacs, one for each month. 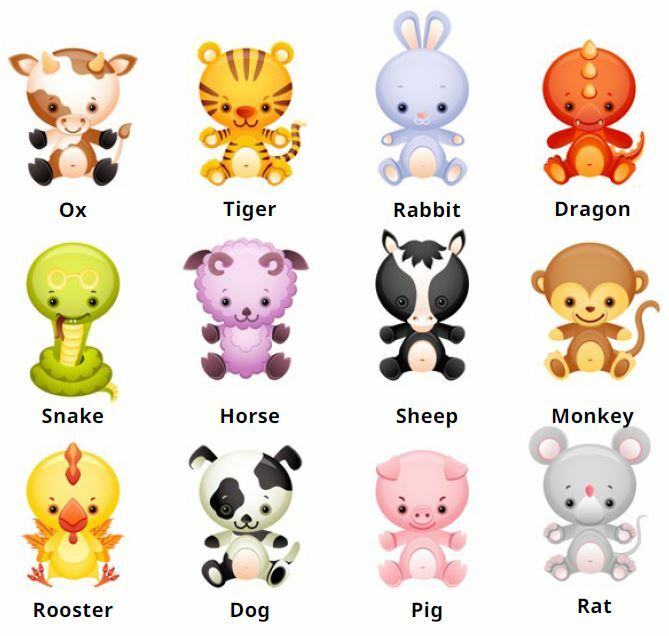 There are 12 Chinese zodiacs as well, but per animal per year. 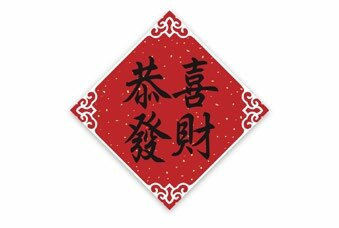 Your ben-ming year (本命年) is the year of your zodiac animal. And of the 12 year cycle, it is the most important to you. There are multiple explanations for this. The Chinese believe that children can easily be taken by demons. And your zodiac year could be your year of rebirth. Many people will wear red underwear every day of the year. Others add on red shirts, pants, jewelry, insoles and more! In China, you have a “real” age (实岁—shí suì) and a nominal age (虚岁—xū suì). The real age is the one we all know about. You grow one year older on your birthday. The nominal age though, increases with the day of Spring Festival. If you check out other greetings or blessings, you’ll see that most are about: Plentiful harvests, wealth and fortune, health and longevity and having children and large families.